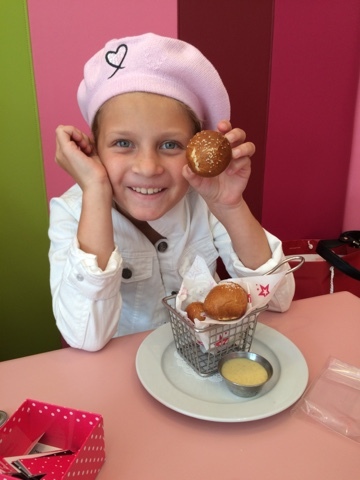 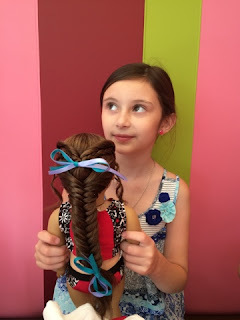 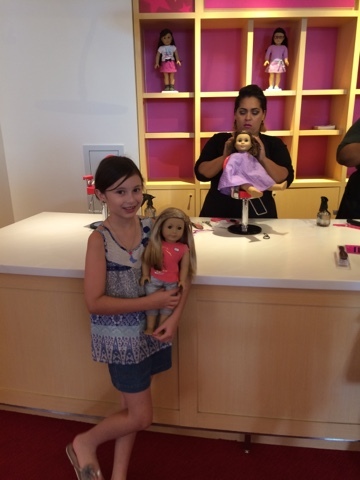 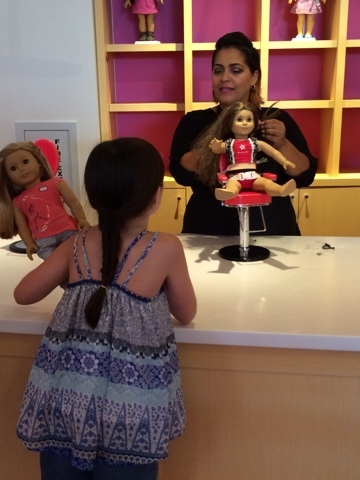 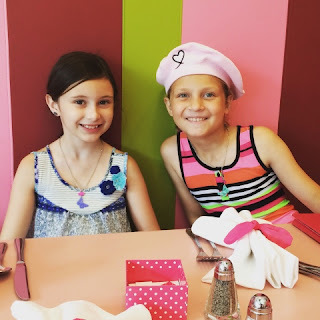 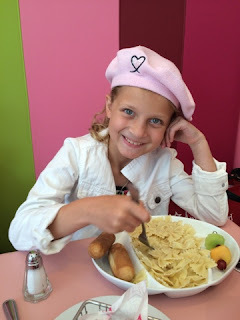 This time, we visited the salon where Marie Grace got a new hairstyle and got her ears pierced! 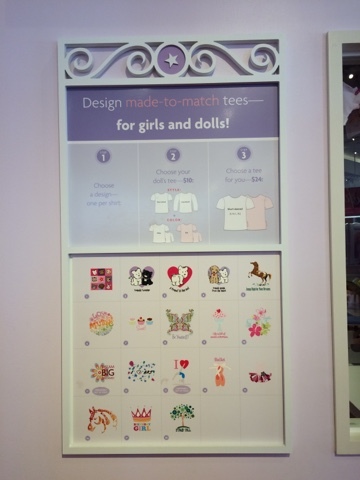 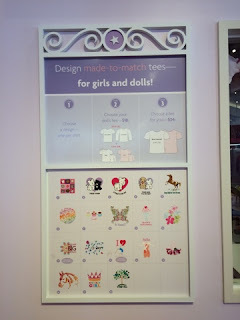 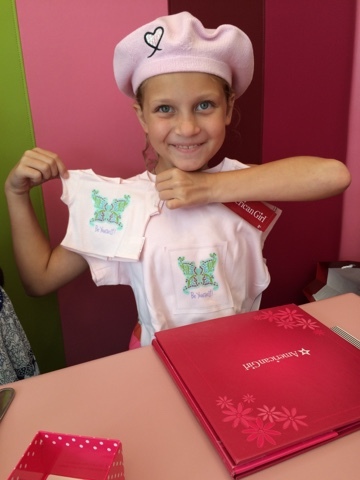 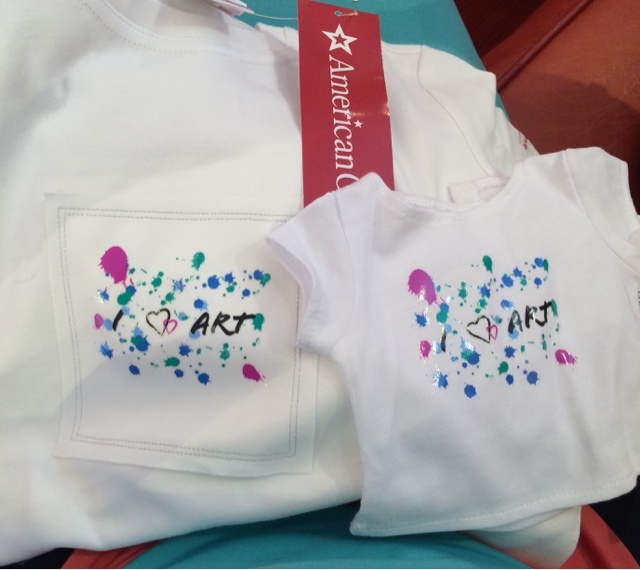 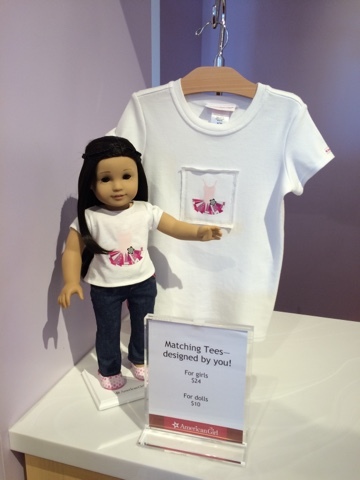 My daughter and her friend also went to the "creativity-Tees" area and designed matching shirts for girl and doll! 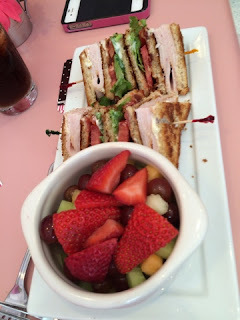 Next, it was time to enjoy lunch. 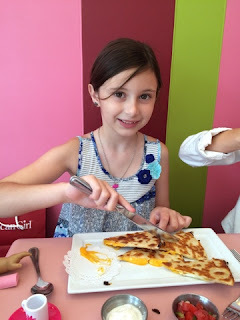 Each girl was able to pick an appetizer and main course.